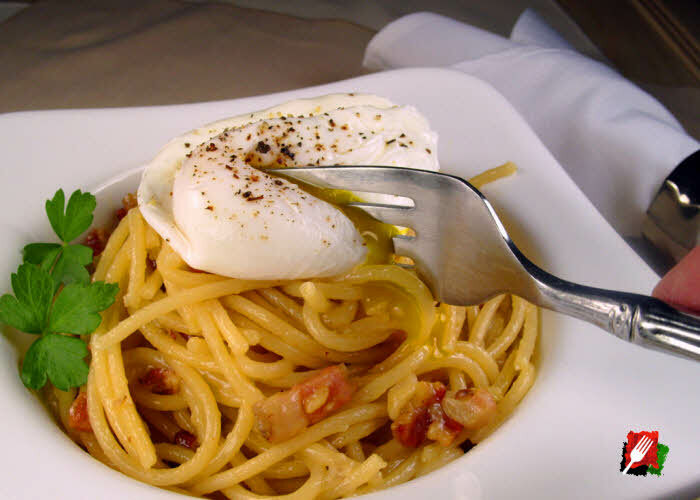 Bring a pot of salted water to a boil over high heat, then cook the pasta until al dente, usually about 8 to 10 minutes. After the pasta cooks for about 4 minutes, heat the olive oil in a large skillet over medium heat. When the oil is hot, stir in the anchovy filets. With the back of your spoon, break the anchovies up until almost dissolved but not burned, about 2 minutes. Lower the heat to medium low and add the garlic and red pepper flakes for a minute or two, stirring continuously to prevent the garlic from burning. 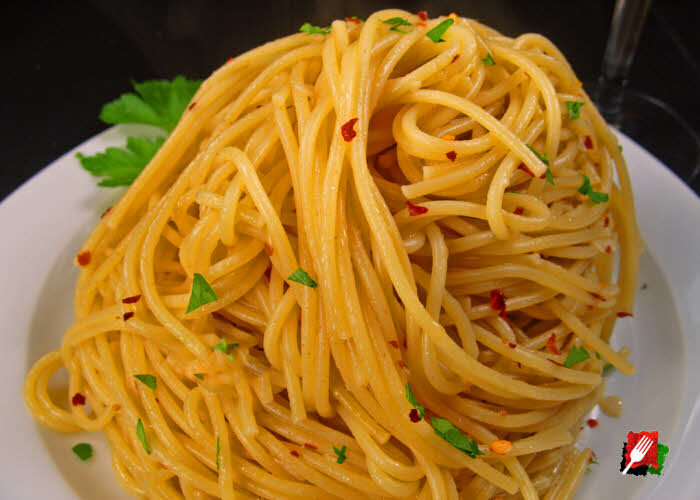 As soon as the garlic and pepper flakes start to sizzle, immediately pour 1/4 cup of the starchy pasta water to the pan and mix thoroughly, cooking down slightly for about 3 minutes. When the pasta has been cooked al dente, turn up the heat on the skillet to medium and use a pasta fork or slotted spoon to transfer the moist pasta directly into the skillet, drizzle the remaining tablespoon of olive oil over the pasta and toss, then finally add most, but not all of the parsley and mix the ingredients thoroughly for another minute until the pasta is thoroughly coated. Season with salt and freshly ground pepper if needed. 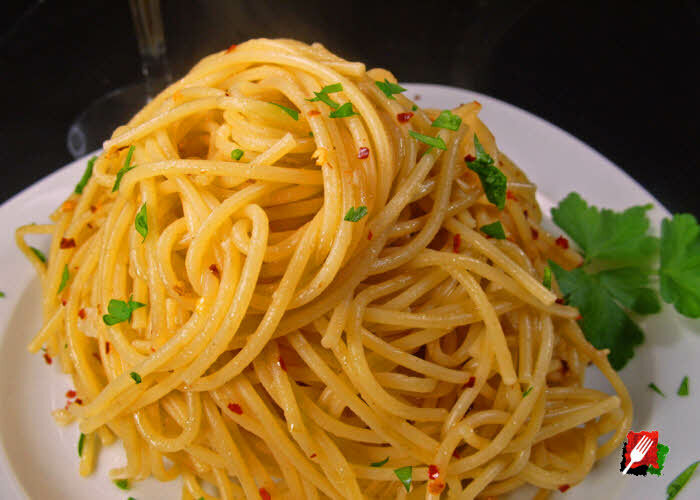 Plate with a generous amount of coated pasta, then garnish the plates with the remaining fresh parsley and a little crushed red pepper flakes. 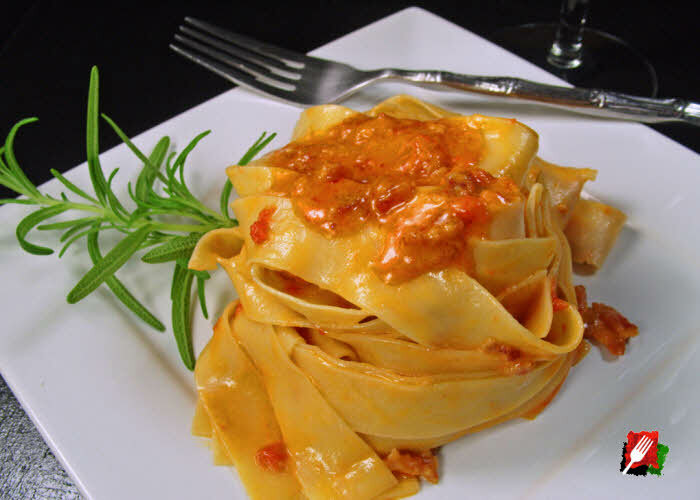 Optionally serve with freshly grated Parmigiano-Reggiano or Pecorino Romano. Serve immediately.